This story starts with a project going wrong. 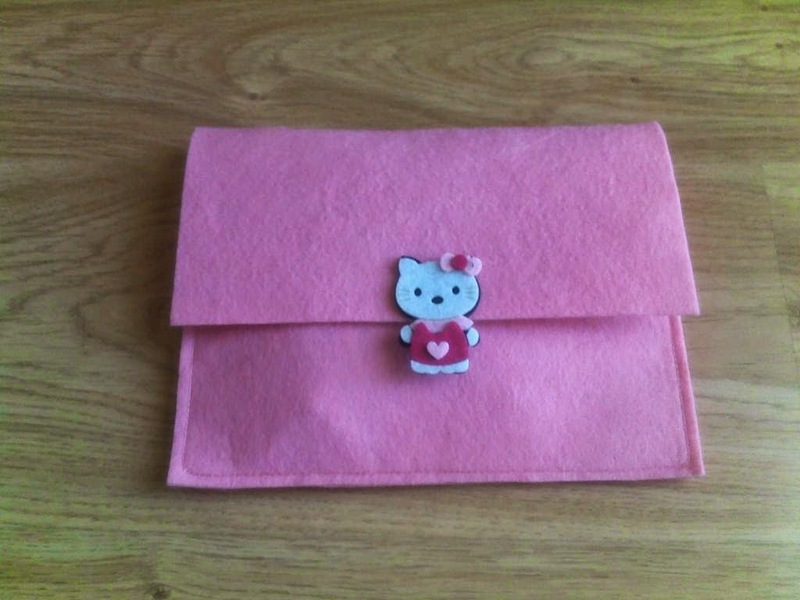 On Saturday morning I had a little free time and I decided to make a Hello Kitty notebook cover (check the tutorial here). I had the actual notebook made some time last year but then something else got in the way and I lost track of it. I found it while going through the desk drawers on my decluttering endeavours. I even took a picture of all my supplies neatly gathered. And then I suddenly realised that I had made a mistake and one of the felt pieces was smaller than the other. 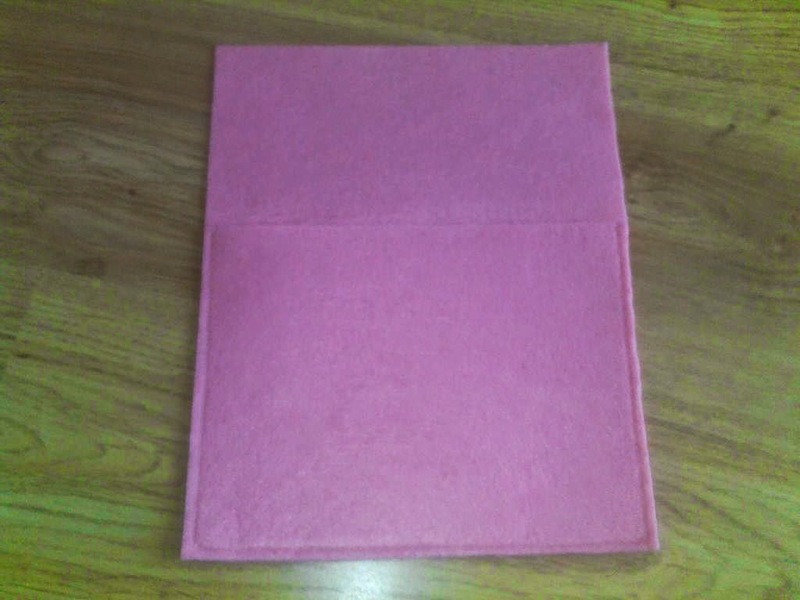 And I didn't have at home enough felt in the same color to cut a new piece. After some brainstorming (and a lot of cursing myself) I noticed that the two pieces could be adjusted to form a felt envelope and decided to sew them that way. 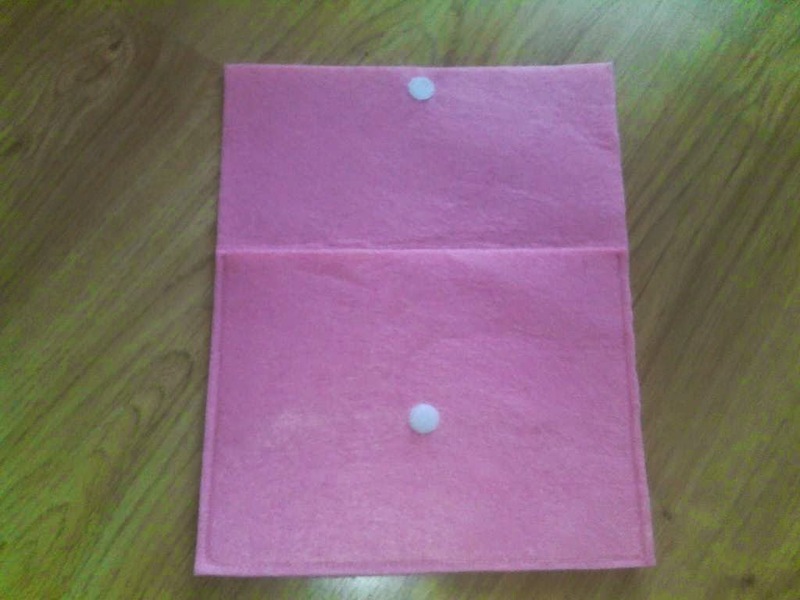 To close the envelope I sewed two pieces of velcro, cut in the shape of circles for a neater finish. By this time I was still thinking I would just put the notebook and the matching coloring pens inside the envelope and be done with it. 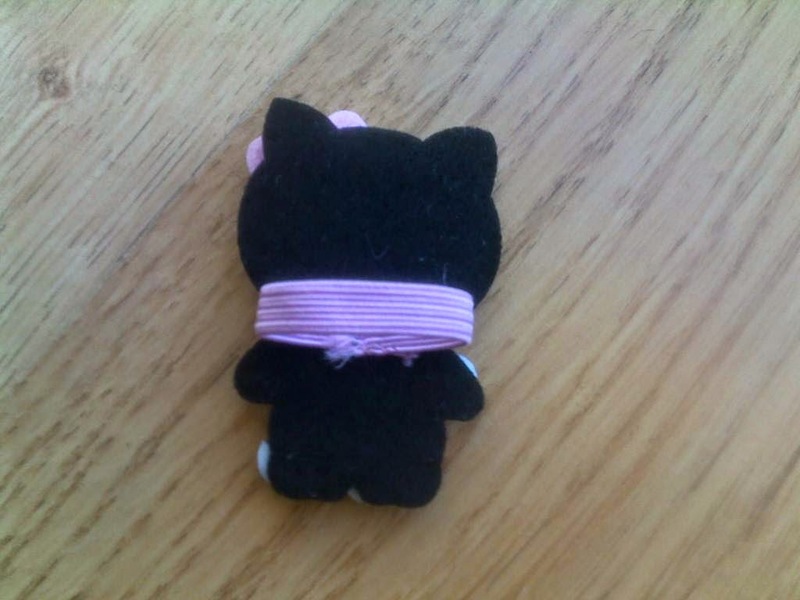 The Kitty figure is store bought and came in a pack of two from the craft store. 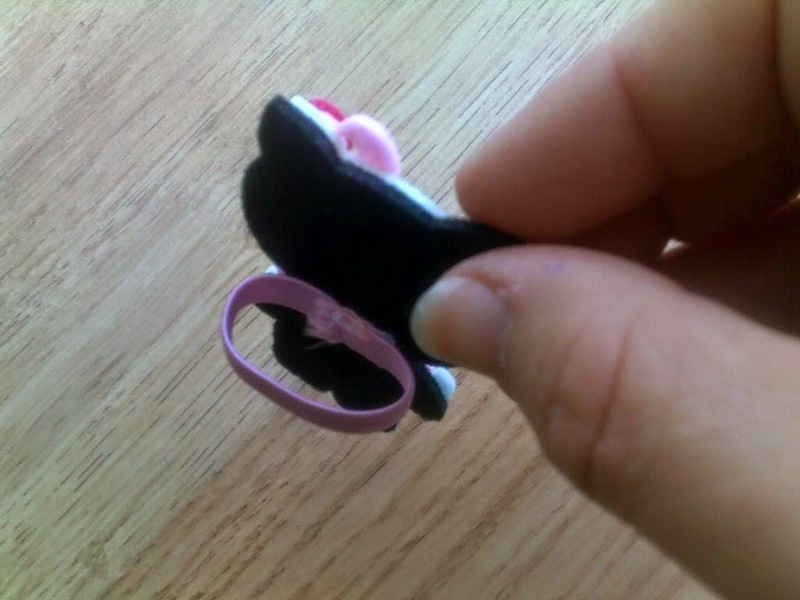 And exactly because I had two, I decided to use the second one to embellish the piece of pink elastic sewed to form a ring and used to hold the coloring pens together. And then, inspiration struck. 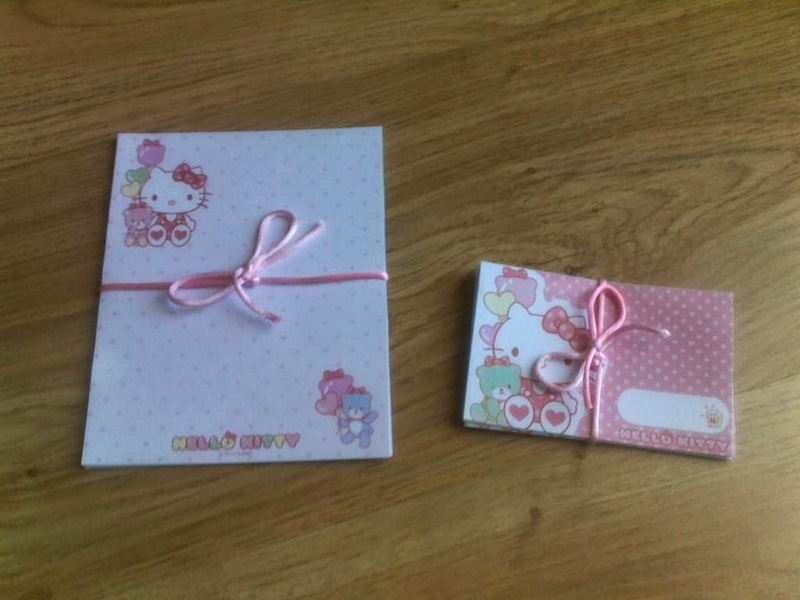 A notebook would not look very cute inside an envelope. But a stationery set would. And while it is true that paper stationery is less and less used in today's digital world, my experience with girls tells me that they still like to pretend they are writing and mailing letters. At least my girl does and she barely knows how to write anything but her name. So I went online, logged into the never ending resources of Pinterest and chose some free printable letter paper and matching envelopes, printed a set of each and tied it with a bit of silky yarn. And if it is true that this project started on the wrong foot, I'm pretty happy about the way it turned out. Although I make a lot of handmade gifts, this was something completely new to me, that only came about because of my initial mistake. And not only do I think this felt envelope "thing" has potential (I have several other ideas germinating right now), but I still have the unused notebook to finally make a cover for, so I have my work planned out for the upcoming weeks. Yes, that about sums it up! Thank you for stopping by! I love how this all worked out for you. It's funny how the smallest of things inspire us. Thank you for tossing your hat into the ring at the Party Under The Big Top! I hope to see you again next week! Good ideas sometimes come when we least expect...Thank you Mary! Wow you are so clever! 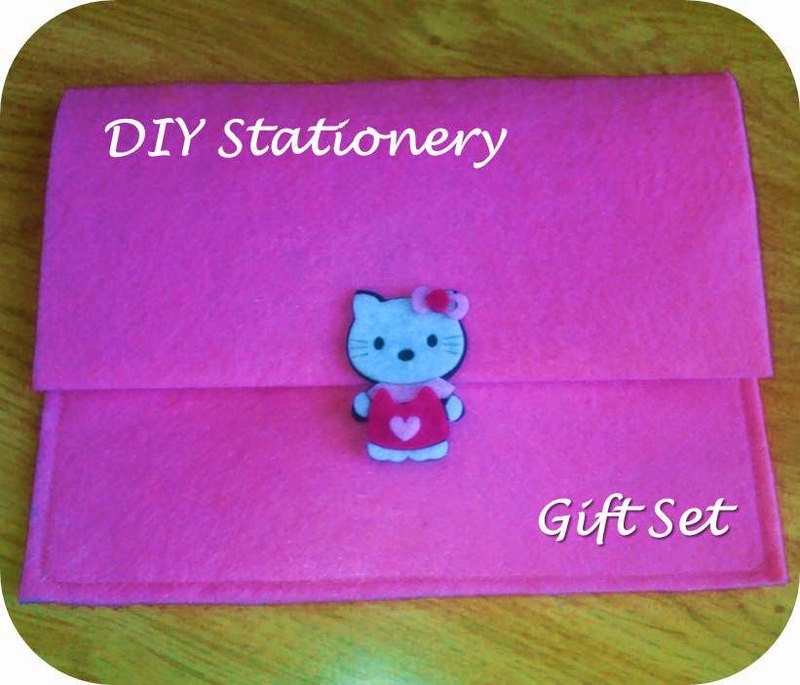 What an adorable stationary set! 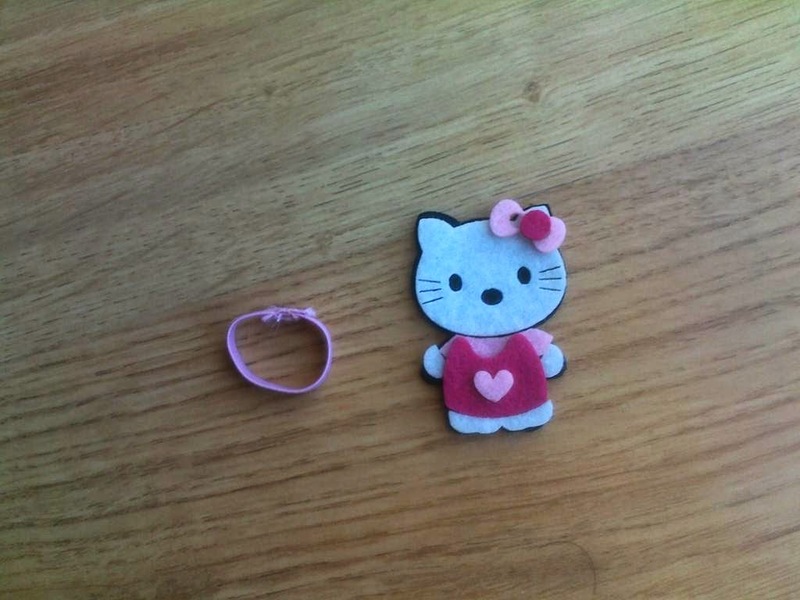 My Brooklynn loves Hello Kitty and would die to have this I'll have to try to make one for her! Thank you Lysa. 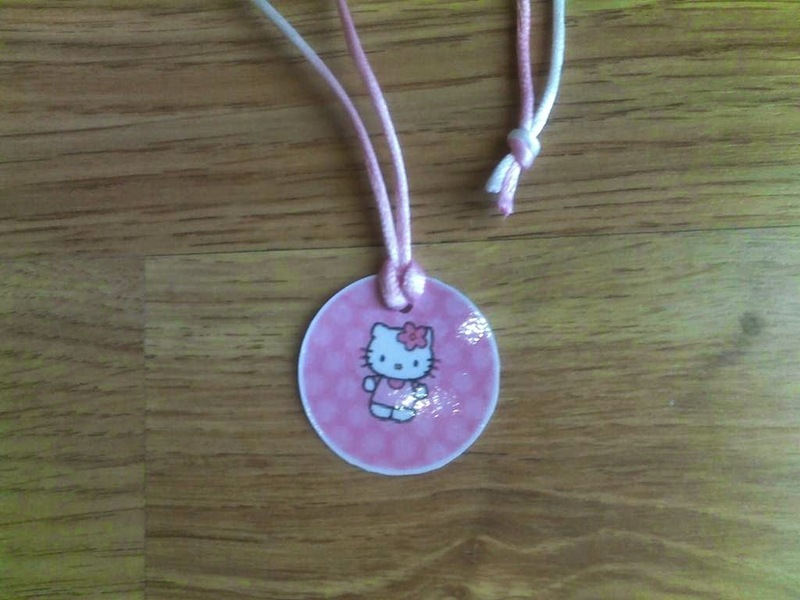 All little girls love HK from my experience. Thank you for stopping by and have a wonderful week! I would have gone bonkers for this as little girl. Now I'd prefer a different theme but I'd still love it. 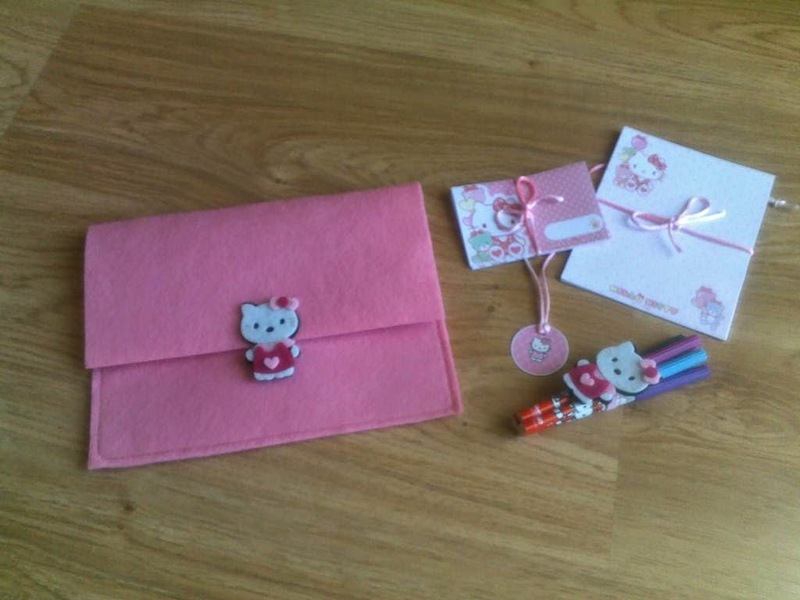 What an adorable gift that will make......everyone loves the Kitty :-) Thank you for sharing with the Clever Chicks Blog Hop! I hope you’ll join us again next week! Thank you Kathy! Have a wonderful weekend! 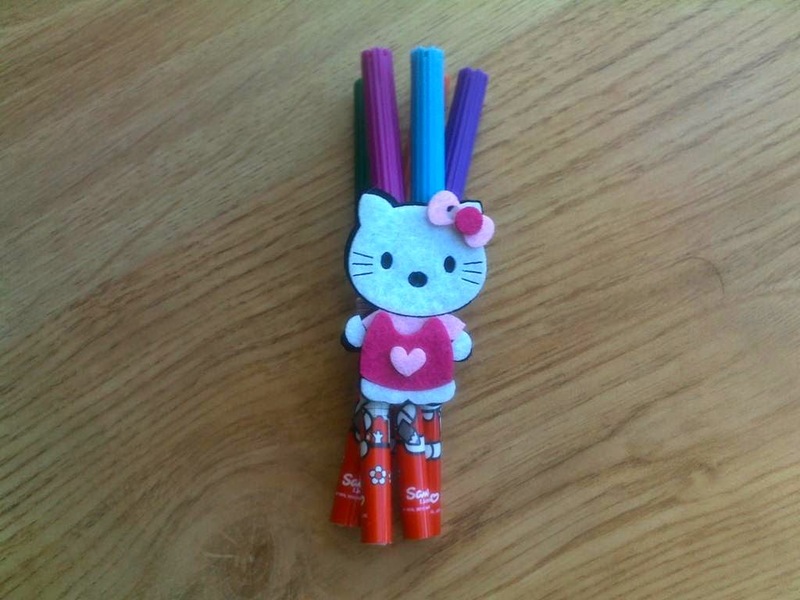 I'm a huge fan of Hello Kitty! This is very, very sweet! 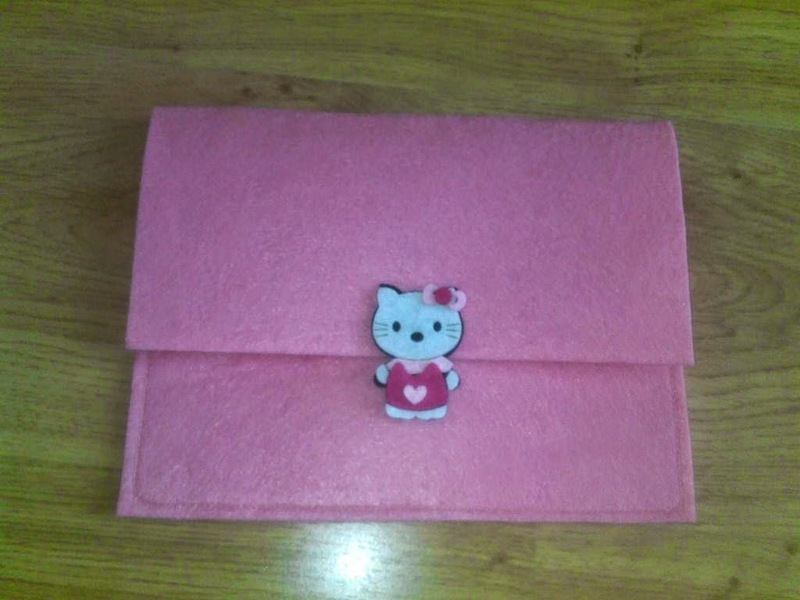 It's very hard not to love Hello Kitty ;). Thank you for stopping by! This would make such a great gift! Thanks so much for sharing at Totally Terrific Tuesday! I hope you stop by to link up with us again this week. Remember the party starts tonight at 10pm! Thank you for reminding me Christie! Super cute!! Thanks for sharing on My 2 Favorite Things on Thursday - Link Party!! Hope you come back tomorrow and share some more!! Pinned!! Thank you Elaine, have a wonderful weekend!